The Japanese card of the Day for April 17th, 2018 is a Common from V-Booster Set 01: UNITE! 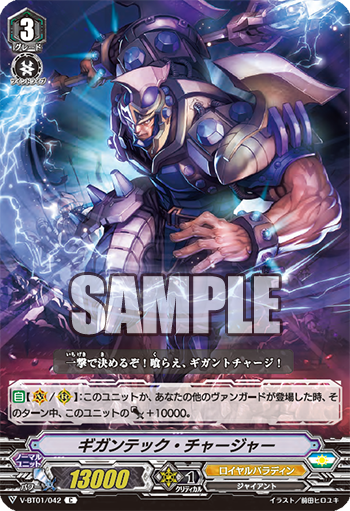 TEAM Q4 and one of Sendou Aichi's cards from the first anime series, Gigantech Charger. This is the first Royal Paladin grade 3 to not possess the Imaginary Gift ability, similar to Vortex Dragon over in Kagerou. 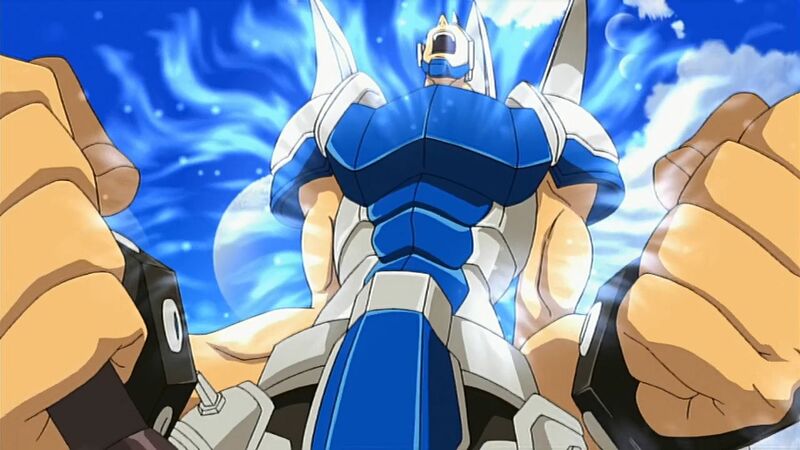 Although longtime fans may remember Gigantech for his superior call skill in the original series, his new effect is inspired by Knight of the Explosive Axe Gornement, from BT10: Triumphant Return of the King of Knights. While Gornement was designed to synergize with the crossride and break ride mechanics, Gigantech is instead designed for the new Imaginary Gift ability; his skill is worded so that he can gain 10k power whenever you ride regardless of whether he's ridden as a vanguard or sitting on the rearguard. When combined with the Force Gift found on Alfred Early and Stardrive Dragon, Gigantech can be pumped up to a 33k base at once, or if you choose to allocate Force to the vanguard instead can contribute to two strong 23k columns. The Stardrive Dragons are a form of insurance to guarantee you still get access to Gift, giving you six ridable grade 3s to work with. On average you'll draw 1 copy of a card you run 3 of in any given game, thus giving you a reasonable chance of using Gigantech to support your endgame offensive. 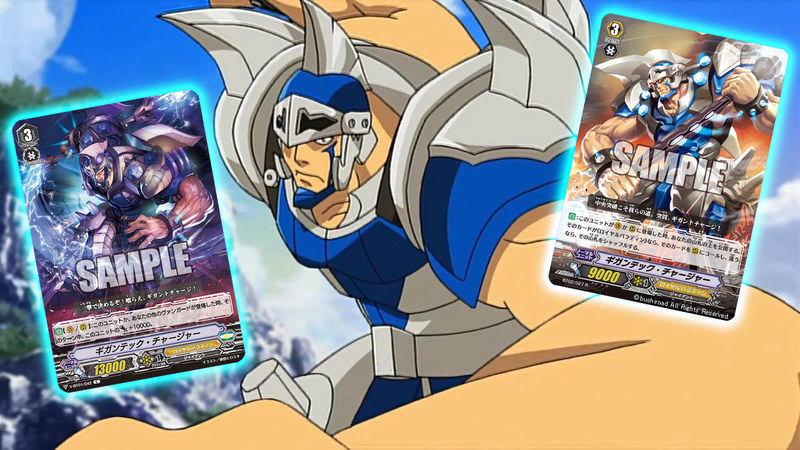 Of note is that Gigantech does not specify "grade 3" vanguard, so if Royal Paladin gets a way to superior call the card at lower grades you'll be able to exploit Gigantech throughout the fight. (Knight Squire Allen is specifically worded to prevent this.) Moreover, because striding counts as "placing," a rearguard Gigatench will gain power when his player strides in Premium Standard format. And even more pressingly, legioning with a unit also counts as "placing," and Royal Paladin's most infamous legion Thing Saver Dragon can place both itself and its mate all at once with its legion skill, meaning Gigantech can easily capitalize off of Thing Saver Dragon's triple restand. tfw Thing Saver pumps you up to 93000 power unboosted in one turn. A heavy fighter whose rush power is exceptional even among giants. He can collect light energy on both ends of his longstaff and fire it, smashing the enemy lines straight through the center with his deadly "Gigant Charger" attack. He's a captain capable of breaking through even the strongest of stalemates. Gigantech Charger is illustrated by Maeda Hiroyuki, who also illustrated the original Gigantech Charger. The previous Japanese card of the day was Cruel Dragon. V-Booster Set 01: UNITE! TEAM Q4 will launch in Japan May 25th, 2018, and in English June 22nd, 2018. It will be preceded by the first Trial Decks of the Standard format, V-TD01: Sendou Aichi and V-TD02: Kai Toshiki, launching in Japanese May 11th, 2018, and in English June 8th, 2018. They will be accompanied by a new sleeve based on the "Imaginary Gift" design.